A number of products are available on the market today but none can compare to the benefits of cellulose insulation when you consider all of the factors. As a builder, you are faced with the homeowners demand for the most cost-effective, performing insulation material with little to no impact on the environment. Cellulose insulation meets all these needs which you can translate into greater satisfaction and living environments for your customers, and increased sales and profitability for your company. Plus, for the environmentally-conscious home buyer, they can be assured that our insulation is inherently green and made from 100% recycled newsprint in and manufactured in an environmentally-responsible facility. ProCellTM has an R-value of 3.8 per inch, a very affordable price per sq. ft., easy and versatile applications, plus superior thermal, acoustical and fire properties. Cellulose insulation is also three times denser than loose-fill fiberglass, so less product is required to obtain the same R-value. We are also a distributor and in-house maintenance shop for insulation blowing machines. Whether you need assistance with a job quote, installation techniques, professional advice or technical expertise, we can assist you. Our qualified sales team and technical representatives can provide you assistance with every step of your project. Our products can be used in a number of applications whether its residential, commercial, agricultural, industrial and sporting venues. No matter how big or small a job, cellulose is a great choice. It maintains a stable R-value in fluctuating Canadian temperatures and can tighten up a home 38% better than traditional fiberglass batts. It is often assumed that cellulose insulation is just for attics, this is a common misconception as it can be applied virtually anywhere (floors, walls, ceilings, garage, basements, cathedral ceilings, etc.) either as dry-spray applied, damp-spray or stabilized. In walls and floor assemblies, it can applied to obtain STC ratings of 65 plus. The Enviroshield wall system is installed at 3.0 lbs per cu. 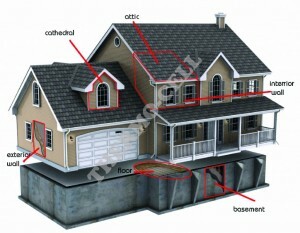 ft., delivering excellent thermal and sound attenuation. Another product feature is its enhanced fire resistance, a safety feature that is equivalent to that of rockwool and superior to glass fiber. 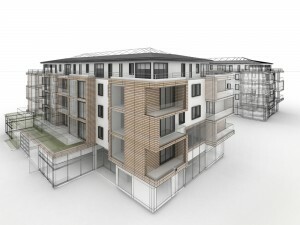 The building industry has become very complex and is continuously changing with the introduction of new insulation products, application techniques and modifications to the requirements in the building codes. Our insulation products have very few limitations and can be utilized in sound-proofing as well as fire separations between multi-dwelling housing, apartment complexes, hotels, etc. Whatever product you choose to offer your customers will reflect on your business and its reputation, so why not make the right choice. The value of cellulose insulation goes beyond price, and includes all the factors that go into satisfying the consumer’s need – price, performance and environmental impact.